Pakistan as a country has been through a number of highs and lows since traumatic partition in 1947 and its cricket has followed the similar pattern in direct proportion, showing how this sport is embedded in social, political and cultural facets of the country. Initially dispersed, unrecognised, underfunded and weak, Pakistan’s cricket team grew to become a major force in world cricket. If cricket is known for its glorious uncertainties, Pakistan team is even more notorious for its unpredictability. 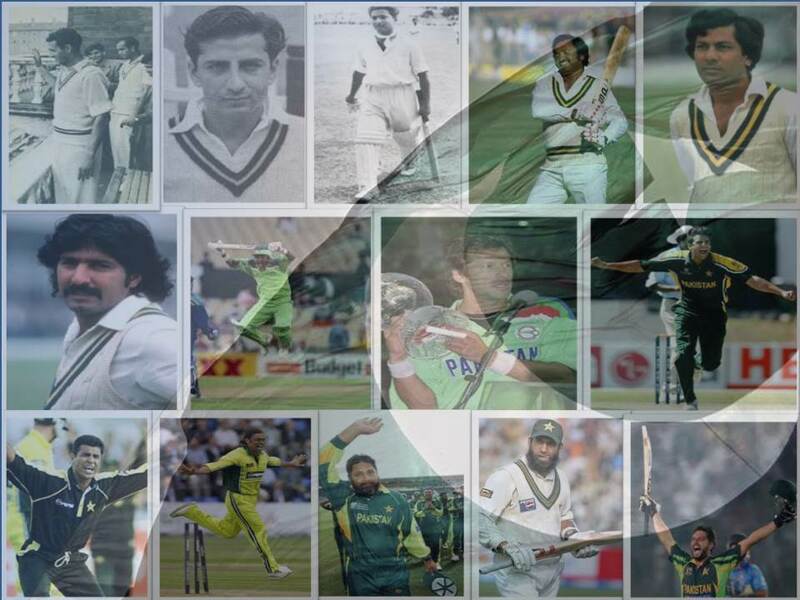 In this series of blogs we shall dig into social, political, cultural and sporting history of cricket in Pakistan. Pakistan cricket was now undergoing a swift decline. 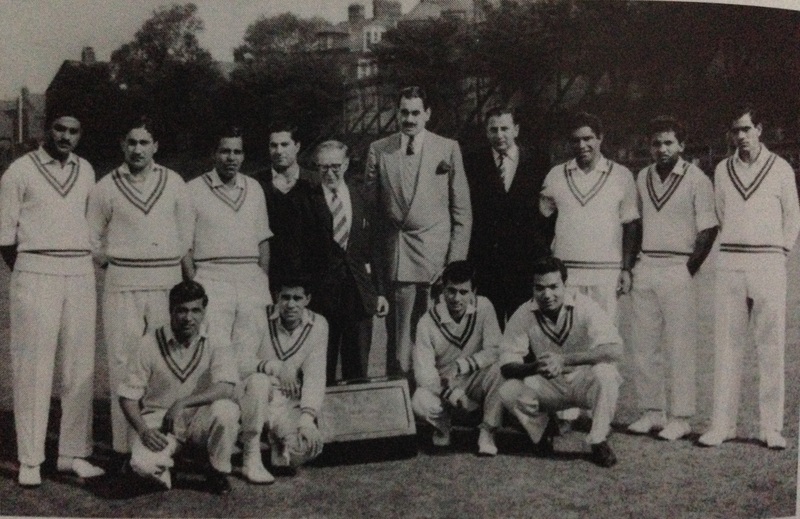 Pakistan entered into international cricket with a bang in 1950s. In its very first decade of cricket, it played 29 Test matches of which they won 8, lost 9 and drew 12 – an impressive beginning for the ‘babes of cricket’. Pakistan had a unique record of winning at least one test match in first series against every opponent. 1960s was a complete contrast to 1950s. Pakistan won just 2 Tests out of 30 played, both against New Zealand. 8 were lost whereas 20 were drawn. Pakistan cricket was overcome by a morbid defensiveness. Cricketers only goal was to avoid the defeat. 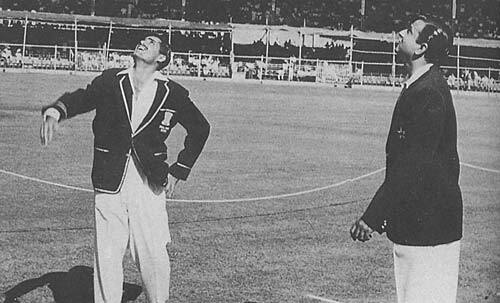 Though there were useful contributions from Hanif Mohammad, Saeed Ahmed and Imtiaz Ahmed, the quality of cricket was poor and it was an eminently forgettable series, so much so that Pakistan and India did not play against each other for another 17 years though this had more to do with the fragile political relations between the two countries than with cricket. Pakistan was now caught in a treacherous transition as many senior players, including great Kardar and Fazal, had retired and the new entrants lacked the experience. Almost 20 years would pass before Pakistan experienced cricketing fulfilment again. Kardar’s team had reflected the hope, confidence and exuberance of Jinnah’s newly created Pakistan which had faded by now. Ayub Khan’s dictatorship imposed a pattern of conformism on Pakistan society that found its way onto the cricket field and did not lift until the emergence of ZA Butto and his Pakistan People’s Party (PPP) at the start of the 1970s. In 1950s, the key to Pakistan victories was the fast bowling, as would be the case in future after 1970s. Pakistan’s best blowers in 1960s were spinners – Mushtaq Muhammad, Pervez Sajjad and Intikhab Alam. Moreover, due to financial crises many talented and ambitious players moved out of Pakistan for livelihood. Among them the prominent were Mushtaq and Khalid Ibadullah. A further problem was lack of government support for the game. Today cricket is recognised as the national game, but it was not the case in Pakistan’s early decades. Games like Hockey and Lawn Tennis received huge grants from government whereas cricket received nothing or very less comparatively. 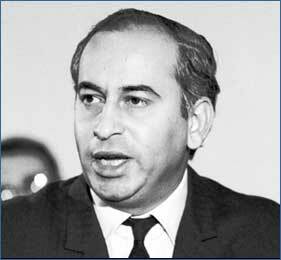 Pakistan found it very hard to obtain international opposition during 1960s. On average the team would play just 3 tests a year, and in both 1963 and 1966 there were no Tests at all. Fazal was written off by the selectors after the tour of India. Pakistan reverted to the situation of the late 1940s, when it was starved of international cricket and therefore dependent on wandering sides, or series against non-Test playing countries such as Ceylon or Kenya. 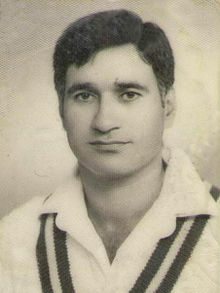 For Pakistan’s tour of England in 1962, a relatively unknown Javed Burki was appointed captain. 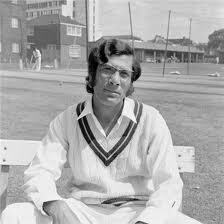 He had played for Oxford and toured India with Pakistan in 1960-61. Although Burki’s appointment proved disastrous, AR Cornelius’s choice looked sensible at that time. It turned out to be a catastrophic tour and Pakistan was beaten, the only positive feature being centuries by Nasim-ul-Ghani and Burki in the Lord’s test match, which Pakistan, in any event, lost. Midway through the tour Fazal was flown to reinforce the bowling but alas he was well past it. The Oval hero of 1954 had become The Oval zero. It did no justice to this legendary bowler who perhaps should have remained retired. 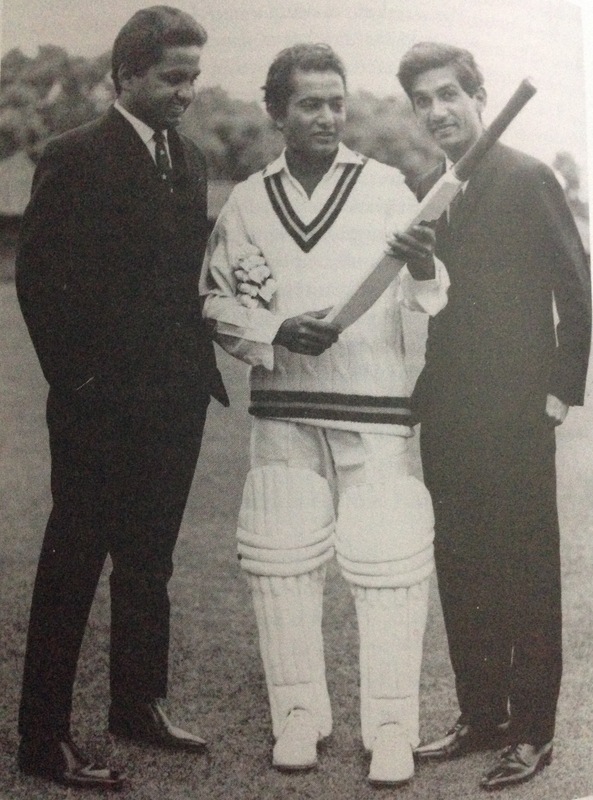 Hanif Mohammad was made captain of Pakistan for a short tour of Australia in 1964-65 and in the only test match played, he came within a whisker of making 100 in each innings – 103 and 93 – a performance that was warmly lauded by Sir Donald Bradman and there can be no higher praise. Pakistan team included 6 debutants and 2 of them, Asif Iqbal and Majid Khan, opened the bowling. The match ended in a draw and many viewed that Pakistan was invariably too defensive to create a real winning chance. 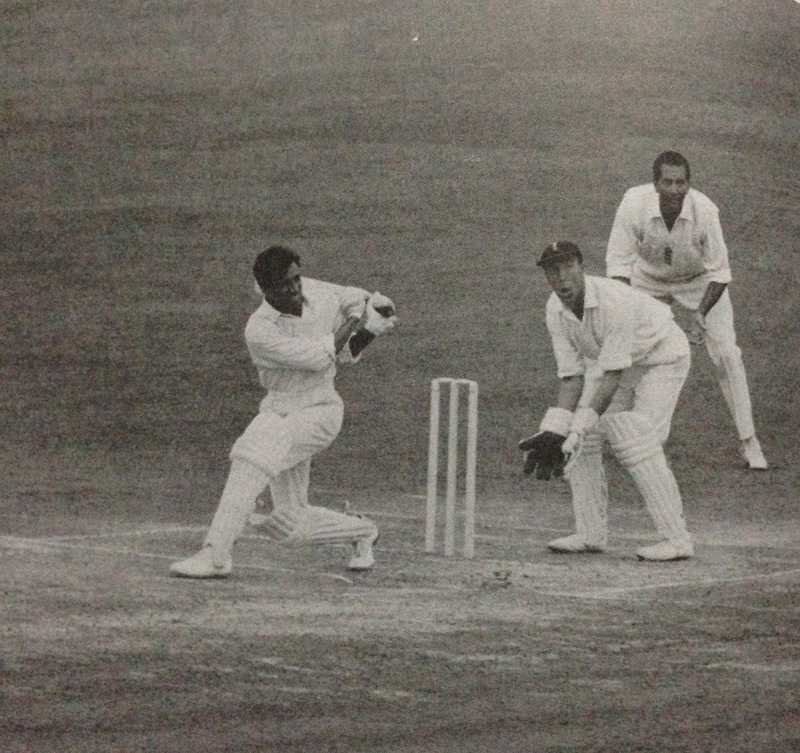 Almost immediately after the drawn game in Karachi, Hanif led Pakistan team on a 4 Test tour of Australasia – 3 matches against New Zealand and 1 against Australia. 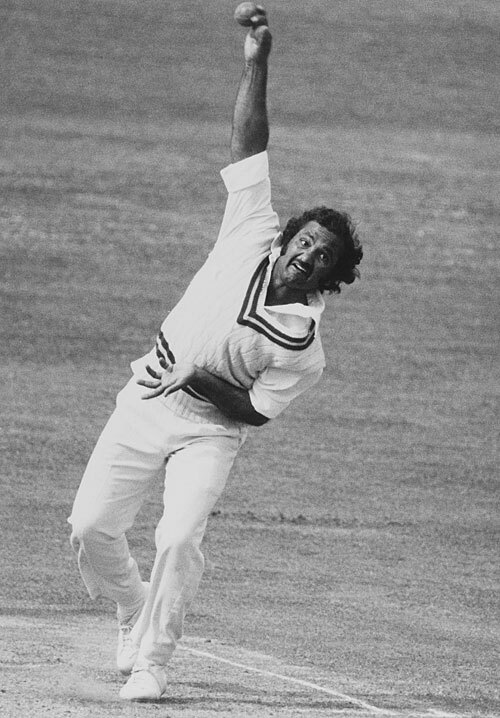 Majid Khan did not tour because, so the Australians insisted, he threw the ball. Pakistan was insulted again by being given only one Test on their visit to Australia in 1964-65, although Australia had no other international commitments. Pakistan drew the match, thanks to two fine displays by Hanif of 104 and 93 in each innings. The action then moved to New Zealand for a three test match series between two of the weakest cricketing nations of the world at that time. On the one hand, neither side was good enough to score many runs; On the other hand, neither side was good enough to bowl the other out. All the three tests ended in draw. Two months later New Zealand returned to Pakistan, playing no preliminary matches and going straight into a Test at Rawalpindi. Pakistan finally tasted success by winning the match by an innings and 64 runs. Majid, after resolving his action, was back in the team but Pakistan’s match winner was the slow left-arm bowler Pervez Sajjad, who destroyed New Zealand in their 2nd innings with figures of 12-8-5-4 as New Zealand collapsed from 57-2 to 59-9. Pakistan ultimately won the series 2-0, Hanif continuing in his excellent form, making 203 in the Lahore test match. But new players were pressing their claims, chief among them Asif Iqbal and Majid Khan. 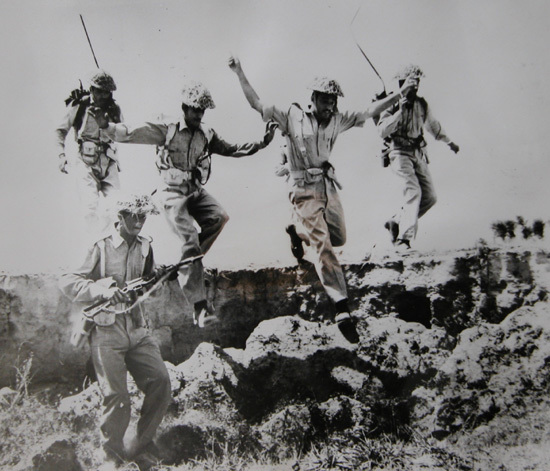 Pakistan had no chance to build on victories against New Zealand as shortly after the series war broke out with India. The War of 1965 was a culmination of skirmishes that took place between April 1965 and September 1965 between Pakistan and India. Between the culmination of war on September 23, 1965 and the end of the decade, Pakistan would play only 9 Test matches, 6 against England. More than 3 years would pass until Pakistan hosted another home Test, 7 years before they next played Australia, 10 years before they next played West Indies, and 13 years before their next Test against India. An image from 1965 War between Pakistan and India. Pakistan’s cricket was from this point overshadowed by political chaos. President Ayub Khan became more autocratic – continuing to rule through emergency legislation, sacking ZA Bhutto as foreign minister in 1966 and ordering arrest of Sheikh Mujib on charges of conspiring with India. The political crises and war had led to the total secession of East Pakistan from cricket. Almost two years passed since the end of the war before Pakistan was presented with another chance to impress in the Test arena. By now they were the forgotten team of international cricket. 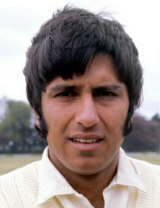 In 1967, Pakistan toured England with Hanif as captain. It was a summer of mixed fortunes. 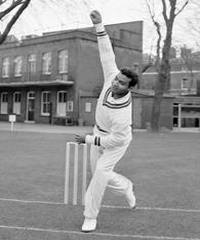 At Lord‘s, Hanif Mohammad played an innings that was out of character for him. Associated with stodginess and the ability to drop anchor and shore up the innings, Hanif made 187 not out, an innings that sparkled, that lit up Lord’s and amazed, pleasantly, his devoted fans. He batted as if he had something to prove. Considered vulnerable against genuine fast bowling, he was particularly severe on John Snow, laying to rest the myth that quick bowlers could intimidate him. That particular test match was drawn but had Pakistan gambled on taking their chances, they could have won it. They chose safety. They lost the other test matches, but at The Oval, Asif Iqbal who was mainly a bowler who could bat, played an innings of such astonishing ferocity that the jury of those who picked the man of the match had to change their candidate. Asif Iqbal made 146 and with Inthikab Alam, who made 51, put on 90 for the ninth wicket, a record. The fact that the series had been lost was forgotten in the euphoria of this innings. It was a pedigreed innings that established him as a front rank batsman. By the late 1960s, Pakistan was in the grip of two simultaneous revolutions. In the West, Zulfiqar Ali Bhutto launched his PPP with an ambitious manifesto to take advantage of the growing revulsion against Ayub Khan’s faltering dictatorship. 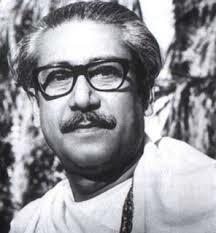 1000 miles away in the East Pakistan, Sheikh Mujib’s Awami League (AL) dominated the political scene and was raining its demands. It drew up the Six-Point Programme, which demanded almost total economic, fiscal, legislative and military separation. Serious clashes broke out between protestors and the police and army. It was amid of this environment national instability, great danger and looming tragedy that the 1969 MCC tour took place. Pakistan was facing the greatest crises of its short history and its survival was uncertain. For the majority of English players, the tour would provide the most terrifying days of their lives. When Mike Smith brought the England team in 1968-69, Hanif Mohammad had been given the sack and Saeed Ahmed was appointed captain. All the three matches were drawn. The Test matches rather served as rallying points for the agitators. The tour programme was changed when MCC arrived. It was further changed to restore Dacca to the fixture list after days of political manoeuvring. Rioting broke out on the first day of the Test in Lahore, and the match was never free from disorder. In Dacca, law and order had broken down completely. The police and military had been withdrawn, and left wing students claimed to be in control. The Second Test was understandably disturbed by rowdiness. Finally the trouble reached breaking point, even for the politicians and diplomats who were so long-suffering at the expense of others, during the Karachi Test. The match was abandoned before the first innings had been completed and the tour abruptly ended an outcome which had long appeared inevitable. The main action was now off the pitch. An old and ill man, Ayub, who had ruled Pakistan for longer than anyone before or since, urged his commander-in-chief, Yahya Khan, to assume power and impose martial law. Two domestic tournaments were used to be played during the period, Quaid-e-Azam Trophy and Ayub Trophy. 7 teams – including all 4 from East Pakistan refused to play in Ayub trophy. The find of these two tournaments was youthful, as yet uncapped, Zaheer Abbas who was leading batsman in both competitions. New Zealand toured Pakistan in 1969-70. 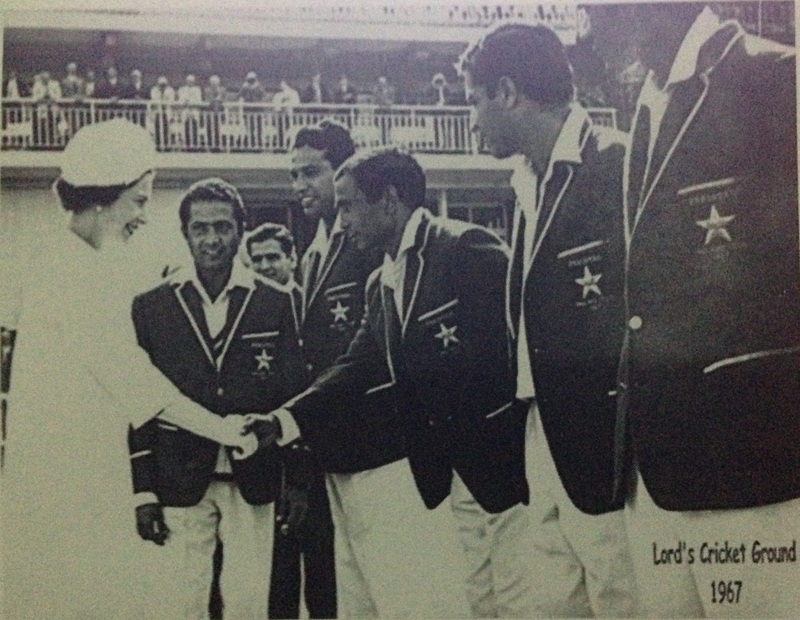 Pakistan had another captain, Inthikab Alam. 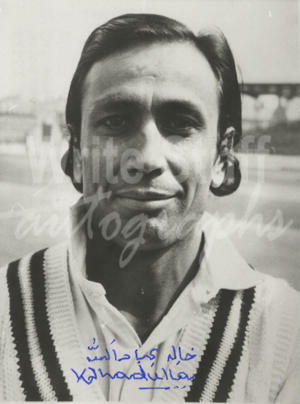 It was in this series that the youngest of the brothers Sadiq Mohammad made his debut while his brother, the legendary Hanif retired or more probably was made to retire. It was an unworthy end to a great career but unlike army generals who just fade away, Pakistani sportsmen are simply discarded when their use-by date expires. Pakistan lost the three match series 1-0. General elections were held for the first time in the history of Pakistan on December 7, 1970, although the polls in East Pakistan, originally scheduled for October, were delayed by disastrous floods and rescheduled for later in December and January 1971. The results of the election saw the AL win a majority of seats, 167 out of 169 seats in East Pakistan. In the West Pakistan, ZA Bhutto’s PPP surprised everyone by winning 85 seats. However, the President of Pakistan, Yahya Khan never handed power to AL, which triggered mass uprising in East Pakistan. The cricket was suffering amid this political chaos. 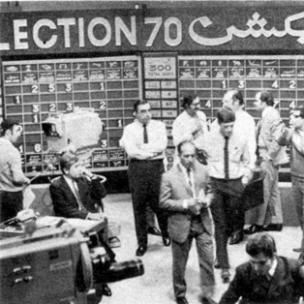 The Pakistan Television (PTV) election cell during general elections of 1970. This blog was first published on Pak Tea House. This entry was posted in History, Pak Tea House, Pakistan, Sports and tagged Australia, Bangladesh, Cricket, England, India, Pakistan, PPP, South Asia, Sports. Bookmark the permalink. Things that may or may not be of interest.